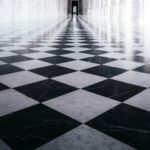 Last month was a busy one for Boston Stone Restoration. One of our favorite jobs this year so far, was completed at the Press Hotel in Portland, ME. The hotel is located in what was once the Gannett Building, housing the offices and printing plant of the Portland Press Herald, the state’s largest newspaper. The tapestry brick and stone building in Portland’s historic Old Port District was constructed in 1923 and an adjoining structure added in 1947. The newspaper operated there until 2010. The hotel retains virtually all of the building’s architectural details, including its vintage exterior lettering and the newspaper’s “City Room” repurposed as the Inkwell Bar. Many of its artifacts have also been salvaged, including a scale used for weighing the huge rolls of newsprint right down to the ounce. This unique piece is displayed in the Fitness Center (naturally). The extensive rehabilitation and adaptive reuse to the boutique hotel was completed and opened to the public in May 2015. In 2016 the hotel made the Condé Nast hot list of hotels. 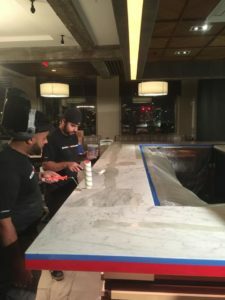 In order to keep and preserve the marble in both the Ink Well bar and the larger Union Bar, management contacted BSR for advice on how to preserve the bar tops with minimal downtime for their busy establishment. 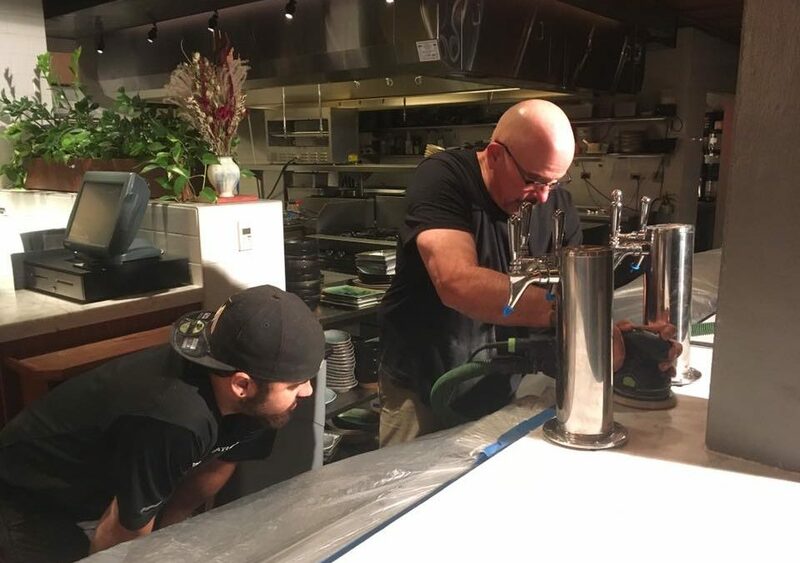 The solution we proposed was to apply MORE anti-etch coating to both bar tops. MORE anti-etch cures quickly and has a 10-year warranty against etching and staining. We brought in a double crew and worked two overnights to complete the project ensuring neither bar suffered from downtime. The beautiful matte finish will now stay pristine in the years to come. Infact, they have already contracted us to return and apply the coating to several other areas in the hotel!